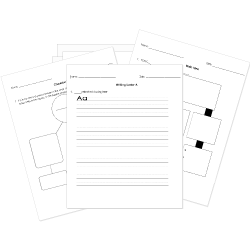 You can create printable tests and worksheets from these The Outsiders questions! Select one or more questions using the checkboxes above each question. Then click the add selected questions to a test button before moving to another page. "He didn't make a sound, but tears were running down his cheeks." What rule did they have for the fight? What is a fight between two gangs or rival groups called? "Oh, no!" My hand flew to my hair. "No, Johnny, not my hair!" It was my pride. It was long and silky, just like Soda's, only a little redder. What is the narrator's name? What did the doctor suggest would happen to Johnny? He would never talk again. He would make a full recovery. What group is the narrator part of? How did both Two-Bit and Ponyboy feel about the rumble? Why was Bob lying on the ground when Ponyboy woke up? He was drunk and passed out. Johnny stabbed him to protect Ponyboy. He fell asleep watching the stars. Ponyboy punched him so hard that he knocked him out. How did Ponyboy's parents die? as if they were no good. What did Johnny tell Ponyboy to do? What did Johnny ask the boys to get him? How is the narrator related to Darry and Soda? They are on the football team. "We went to the concession stand and, as usual, there was a line a mile long, so we had to wait." This sentence contains which use of figurative language? The name of the two gangs are the Socs and Greasers . Why did Dally react so strongly to Johnny's death? What did Ponyboy write about for his theme? one of the characters call the Socs "chicken"
Pony and Johnny talk about "Gone With the Wind"